The Pride of Laguna Creek Lions Club was sponsored by the Elk Grove Lions Club and was Chartered by Lion’s Club Interntional in 1993. We are proud to represent the Sutter Zone in the Sacramento Region of District 4-C5. We are 38 members strong and participate in many local events and service projects each year. We partner with the Cosumnes Community Services District to provide pancake breakfasts at two of their signature events – Breakfast with the Bunny, and Breakfast with Santa. Each of these events are extremely popular within our community. 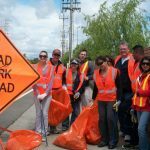 We have adopted a busy street in South Sacramento, and have made a commitment to maintain it. We are most proud of our commitment to the youth in our community. We are the chartering organization for a Cub Scout, Boy Scout and Adventure Crew Troops. We have promote Flag Day with presentations to the elementary schools in Elk Grove in which we share the rich tradition of patriotism with children in Grades 2 through 5. We also participate in the Lion’s Club International Peace Poster Contest, and the Student Speaker Contest. We are especially proud of our involvement in our Dictrict 4-C5. Several of our club members serve on various committees and have served as officers of the District. Our own Richard Wilmot was selected to serve as the District Governor for 2010-2011 and Multiple District Council Chair in 2011 – 2012. Mike Retzlaff was selected to serve as the District Governor for the 2015/2016 year. We are a proud member of Lions Clubs International, the world’s largest service club organization with more than 1.4 million members in approximately 46,000 clubs in more than 200 countries and geographical areas around the world.